Having survived a 218-day hospital stay and several near-death experiences, these are proclamations I often hear. I find these statements wildly ironic, because for so long, my ordeal had the exact opposite impact on me. 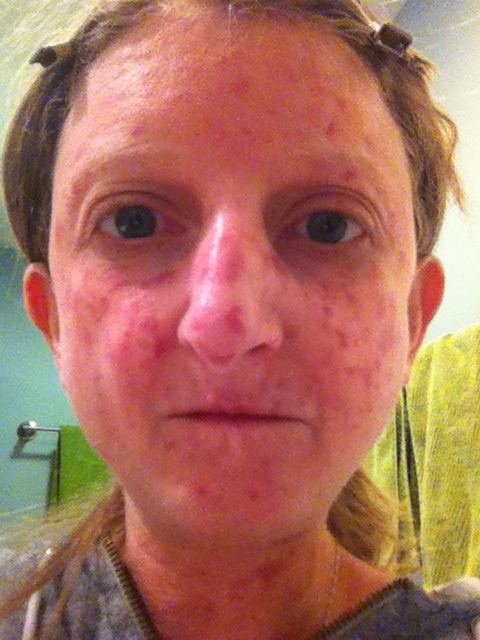 At age 10, I was diagnosed with scleroderma, a rare and disfiguring autoimmune disease. In April 2006, my husband Dave and I were ecstatic to welcome our beautiful daughter, Emily Zoe, into the world. Three years earlier I had given birth to our son, Ari Eli. Since scleroderma had affected my body in many ways, I did not take the miracle of delivering two healthy babies for granted. Minutes after Emily was delivered via C-section, I remember thanking God that I had made it through two high-risk pregnancies. At 31, my life felt complete. I had a husband whom I adored, two beautiful children, and a fulfilling career as a fourth grade teacher. Then, 12 hours after the C-section, things went terribly wrong. I experienced grave complications after my daughter’s birth, which resulted in a massive infection that ravaged my abdomen. For many months, I could not eat, breathe on my own, move a muscle, or talk. I felt trapped and was driven to the brink of delirium—and beyond. At every twist and turn, my family was told that my chances of survival were slim. After finally being released from the hospital on December 1, 2006, my family and I faced many obstacles. My marriage was fraught with tension. The relationship with my then 3-year-old son, Ari, was fractured and in desperate need of healing. In Ari’s mind, he had been abandoned by his mommy. I had spent less than 24 hours with my beautiful 7-month-old daughter, Emily. I had a fierce desire to bond with her, but could barely hold her in my arms. I weighed less than 80 pounds, had lost all my hair, wore a large bandage on my neck to conceal the open wound from my tracheotomies, and painfully hobbled with a walker. I wanted to resume my career as a teacher, which was my passion and integral to my identity. Half a year of grueling physical rehabilitation lay ahead of me. I questioned everything I had previously believed about God and Judaism. While in the hospital, I felt anger toward God and could not understand why he was punishing me so harshly. Then, when I finally came home, I went through a euphoric stage of being endlessly grateful to God for granting me the gift of life. I was determined to live life to the fullest and cherish every moment with my family and friends. But once the exhilaration of coming home wore off, I went back to feeling rage and grief over the time I lost with my children. I determined that it was Oprah, not God, who pulled me through. After all, for 218 days straight, Oprah came to visit me through the television and inspired me to keep fighting, but I didn’t see God even once. I spent most of the following year focusing on the millions of things that went wrong for me. The power of time and perspective eventually transformed my anger and rejection of God into gratitude. Now, I focus on the millions of things (some may call them miracles), big and small, that went right for me. It is my strong belief that God did help me through my darkest days, by coming to me in the form of community. All the praying and mitzvot (commandments) that were performed during my illness brought a community of people together. People prayed their hearts out for me. We had practically every religion covered. Women prayer groups heard my story and sprouted up all over the country. My friends and colleagues at the school where I taught met together and prayed for me, while simultaneously arranging for grief counselors to be on hand to counsel students and staff, should the worst happen. The rabbi at the JCC where Ari was attending daycare conducted morning prayer sessions where parents and teachers would pray for me. Mi Sheberakh, the traditional Jewish prayer for the sick, was being said in temples all over Chicago. Dave’s amazing Grandma Sylvia, of blessed memory, had the entire elderly community at her Assisted Living Center relentlessly praying for me to return to health. My best friends said prayers for me every night with their children. Special prayer scrolls, blessed sand from Israel, and bracelets intended to keep away the evil eye were placed near my bedside. My family was constantly bargaining with God to save my life. After another surgery that led to my splenic artery being punctured and me bleeding out, the praying was taken to an entirely new level. 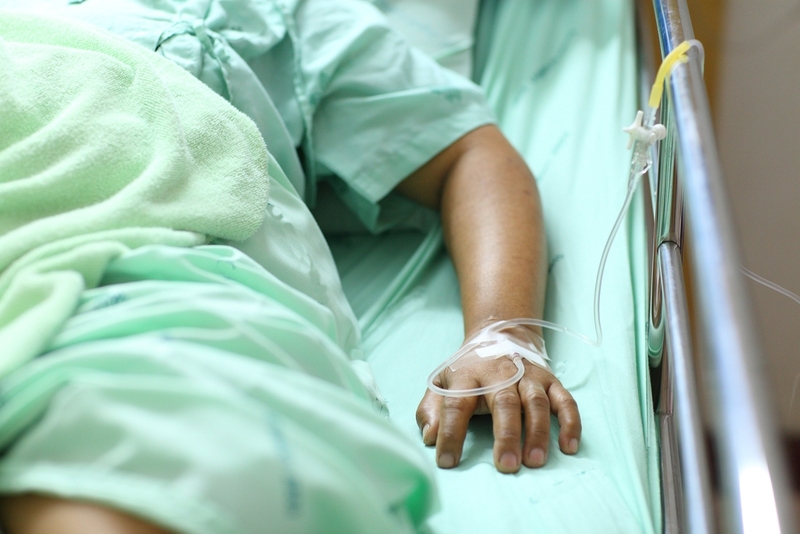 I lay in the ICU bed, my crimson red blood drenching my sheets and pouring onto the floor, as my mother and brother stood with prayer books, reciting psalms both in Hebrew and in English. My sister recalls that my body was gray, and I looked dead. She later told me that all she could think of was the familiar psalm, “Yea, though I walk through the valley of the shadow of death…” My aunt drove to the cemetery and stood over the graves of my grandparents, begging them not to take me, insisting that I was not ready to go. Friends even went so far as to fast for me. My stepfather and brother went to synagogue, and with the rabbi and other congregants, participated in a mystical ceremony that changed my Hebrew name from Leah to Chaya, which means life. This name changing ceremony can only be done once in a person’s lifetime and is intended to fool the angel of death. The Talmud tells us that when a person saves one life, it is as if they have saved the whole world. Sometimes the opposite is true; it takes the whole world to save one life. I spent many hours in the hospital thinking about how my life was a miniscule speck of dust on a vast globe. There are billions of people in this world—why did I even matter? What difference would it make whether I lived or died? Yet, family, friends, doctors, and strangers made unfathomable sacrifices to save my life. I’ve come to realize that it wasn’t just Oprah who visited me for 218 days. God was there, too, coming to me in the form of my remarkable family and friends. This intimate community embodied superhuman strength. It held my hand and refused to let go. To me, that is a true miracle. Note: Lisa Goodman-Helfand recently posted an article featuring a picture of her face without make-up on her popular blog, Comfortable in My Thick Skin, that sparked a firestorm of outrage and controversy. The result is a new campaign entitled Face Off for Scleroderma that launches Sunday August 9th at 3:00pm CT. You can learn more about this story and the campaign at www.comfortableinmythickskin.com.